Johann-Hermann Meier was born on 10 June 1921 at Kronprinzenkoog in Schleswig-Holstein. Meier was posted to JG 52 based on the Eastern front in September 1942. Unteroffizier Meier was assigned to 7./JG 52. He recorded his first victory on 5 September 1942. Thereafter he had a meteoric rise: Ehrenpokal, Hungarian Ritterkreuz, Deutsches Kreuz in Gold, promotion to officer rank and 67 victories, all achieved by the end of 1943.  He had also fitted in a two month stint as an instructor with Ergänzung-Jagdgruppe Ost. On 5 July, he shot down three Russian LaGG-5 fighters on two morning missions to record his 19th through 21st victories and, on an afternoon mission, shot down another three Russian aircraft (22-24) to record six victories for the day. He recorded his 50th victory on 14 October, his 60th on 27 October and his 70th on 7 January 1944. 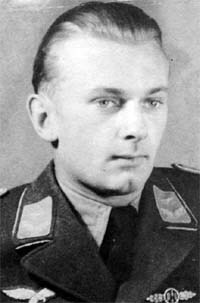 On 1 March 1944, Meier was appointed Staffelkapitän of 1./JG 26 based on the Channel front. On 15 March 1944, Meier was taxiing his Fw 190 A-6 (W.Nr. 470 057) “White 8” for takeoff at Florennes. Suddenly his aircraft veered and struck another taxiing Fw 190. Both aircraft burst into flames. The pilot of the other aircraft was able to extricate himself from his burning aircraft but Meier was trapped in his and burned to death. Leutnant Meier was posthumously awarded the Ritterkreuz on 16 December. Johann-Hermann Meier was credited with 78 victories in 305 missions. All his victories were recorded over the Eastern front and included 16 Il-2 Sturmoviks. 11:41 Boston III 1./JG 52 76 613: tiefst.